and time in each destination gain? ‘Tis can be hard choice for the traveller’s brain. So you’ve decided to travel through Europe, and you’ve committed to the idea of doing so by train. You’ve heard some friend, coworker, classmate, travel agent, blogger, etc. rave about Interrail (also called Eurail) and you want to know more about it. I’m here to tell you more. This past summer, I jumped on the Interrail wagon and purchased a 15-day Global Pass. I decided upon 6 of my dream destinations between Milan and Warsaw, spent some time doing a little bit of planning, and then, set out on my first solo, weeklong adventure. I had an amazing week aboard countless ferries, gondolas, swans (more will be coming about that soon), and trains of course. All in all, I know that the ordering the pass was the right choice for me. First day using the pass. The Interrail journey began at Milano Centrale. However, I did experience my fair share of hiccups after ordering the pass that could have been avoided if I had had a better understanding of how the pass worked. On the bright side, these little surprises have given me the material necessary to write a useful post (…and the ability to help you all avoid making the same mistakes). Without further ado, here are details to consider when deciding whether an Interrail/Eurail pass is the right fit for you. Important Note: If you’re a budget-oriented traveller and have your heart set on becoming a first-time Interrail/Eurail pass buyer, DEFINITELY read this post before completing your transaction. In a nutshell, Interrail passes are train passes that EU residents can buy in order to take multiple train journeys throughout Europe without having to purchase tickets for every single journey. Eurail passes are for non-EU residents, and they cost slightly more than the Interrail ones. Prices also change depending on your age… Anyway, I will let Interrail/Eurail stick to informing you about all pricing information. 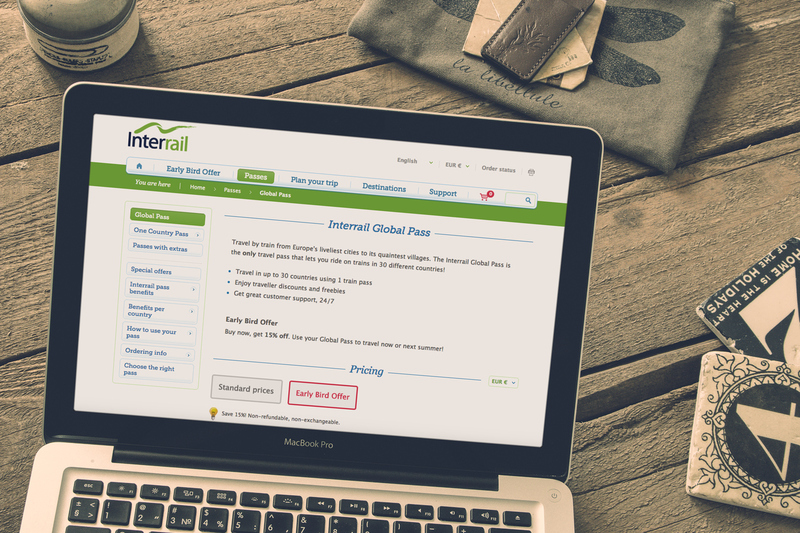 For info about Interrail Global Passes, click here. For info about Interrail One Country Passes, click here. And last but not least, for exploring your Eurail Pass options, click here. 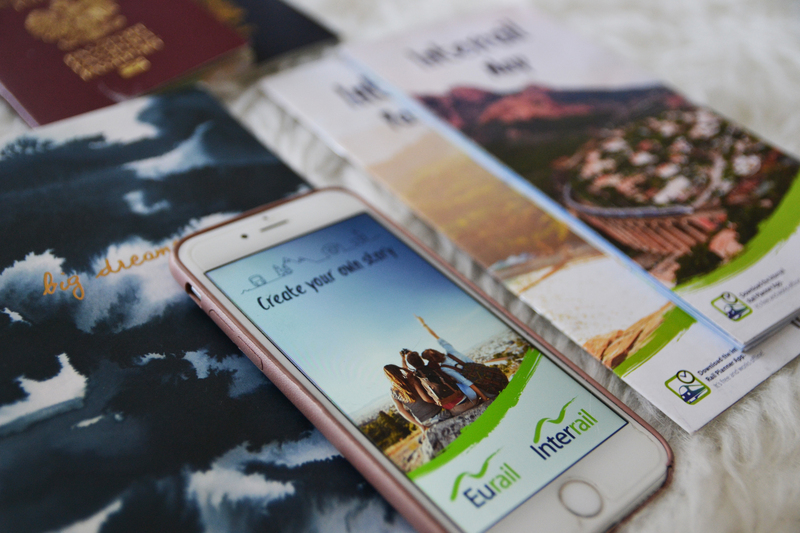 On an exciting note, as I write this post, Interrail is currently offering up to 15% off their passes and Eurail is offering up to 20% off! Europe consists of nearly 50 countries. The Interrail pass gives you access to trains in 30 of them. Eurail supposedly gives you access to only 28. Eastern Baltic countries such as Lithuania, Estonia, and Latvia are not included in any pass. Not all train companies are partners with Interrail. I didn’t run into this issue, but when planning a trip through a country, double check whether the train company you have to travel with works with Interrail. Click here to see a list of participating train companies. Quick Answer: I recommend over a month in advance (minimum) and when you’re in the country that corresponds to your country/continent of residence. Be warned that despite aiming to make travelling through Europe simpler, Interrail/Eurail is not always prepared to accommodate the needs of spontaneous adventurers who are going down the longterm travel road. Longer Answer: Fellow readers, this is where the formerly mentioned hiccups began. I work as a teacher and June is a month of frantic grading, student excursions, and emotional goodbyes. Before I knew it, school was out and I had my boarding pass for my flight to Canada in my hand. I only had the chance to decide to officially turn my dreams into a plan and purchase the Interrail pass while in Canada – 3 weeks before my set departure date. My decision confused Interrail. Why on Earth would someone be purchasing an Interrail pass and wanting it shipped to Canada? 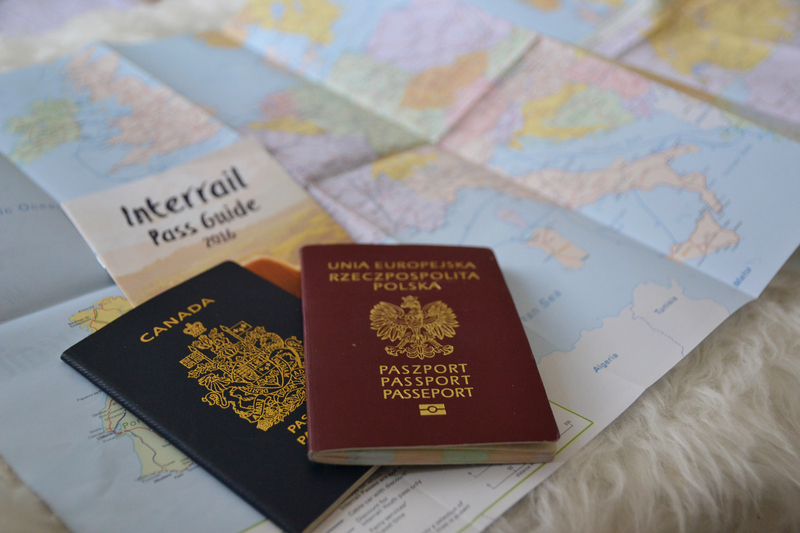 Interrail passes are for EU residents only and therefore, are only shipped to EU countries. No Exceptions. I called and begged. So here, I must send out a huge thank you to my Polish aunt who agreed to have the Interrail pass sent to her. When ordering a pass, it’s also important to keep in mind that it takes some time to ship and deliver the pass (and book reservations), so make sure to give yourself (and Interrail) more than enough time to process all of your orders and requests. 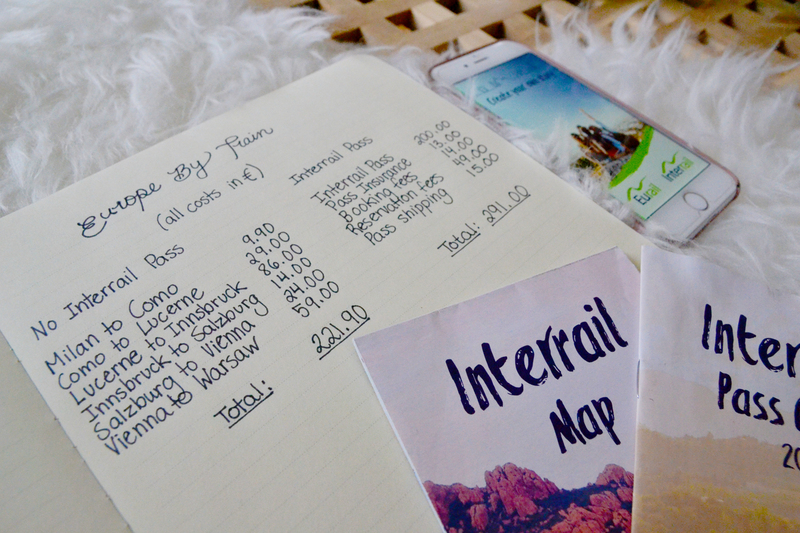 Along with your pass, Interrail will send you a detailed train route map and pass guide. Holding an Interrail pass does not mean that you can get on and off trains as you please. Some trains, especially night and high-speed trains, require pass holders to reserve their seats on the train ahead of time. To see which journeys require a reservation, download the company’s Rail Planner app and search the trip you want to take. An “R” with a “Reservation Compulsory” phrase beside it means that you need to book a reservation. Reservations require you to pay additional fees on top of what you’ve already paid for for the pass. The Rail Planner app’s loading page. It’s important to know that these “R-marked” trains have a limited amount of seats set aside for Interrail/Eurail pass holders, so it’s best to book them as far in advance as possible (Interrail reccommends booking them 2 months in advance). I guess I was lucky when I made my reservations 2-3 weeks in advance and seats were still available. If you do not book in time, you may end up not being able to use your pass for that train ride and may have to purchase a regular ticket. Fortunately, there are often regional trains that take the same routes as the high-speed trains. The journey may take longer, but you rarely need to book a reservation. To read more about making train reservations, check out Interrail’s guide by clicking here. It can take a few days for Interrail/Eurail to process the reservations that you’ve requested. You can only officially book and pay for the spot after they offer it to you. Sometimes you can choose to print an e-ticket for your journey. Sometimes, you MUST have a paper ticket. You won’t know what kind of ticket you can get until Interrail/Eurail has offered you a spot. As well, if you have to go down the “paper ticket” route, you cannot pick this paper ticket up at a train station. Interrail/Eurail must mail it to you and that could take up to a week. There are no exceptions even if you’re planning on moving onto a new destination before the ticket is set to arrive. If you’re in a situation like this and don’t get your ticket in time, you won’t get a full refund for your reservation either. The ticket for my night train from Vienna to Warsaw arrived one day before I was leaving Canada. My stress levels were through the roof during those last few days because the reservation fees hadn’t been cheap. Nevertheless, Interrail/Eurail will send your tickets to any hostels/hotels you are staying at, but my faith in hassle-free and timely deliveries isn’t so great these days. One of my train trips was a quick, 30-minute ride from Milan to Como. I saw that making a reservation was compulsory for this journey. This meant that this single, short trip would have an added cost of around 13 Euros. At that moment, I decided to check what Trenitalia was charging for the trip (I was thinking that maybe it would be cheaper to purchase a ticket from the Italian train company and save an Interrail travel day for a another day). 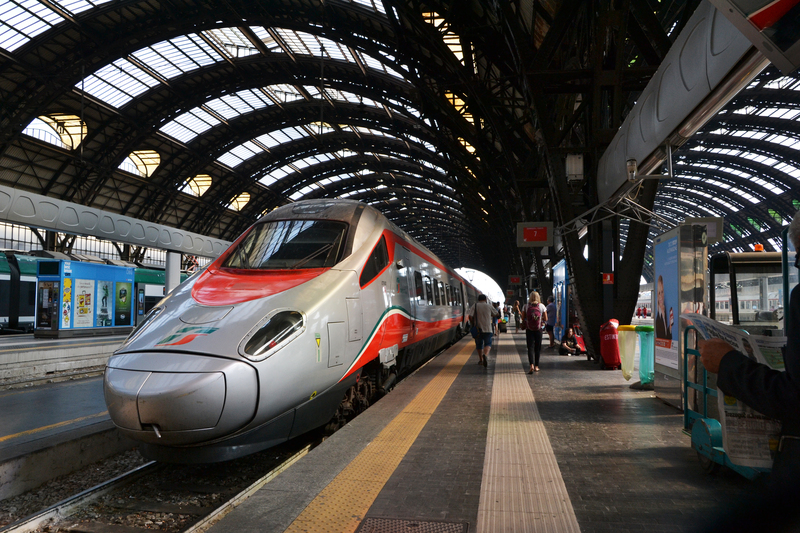 Trenitalia’s price was around 20 Euros, but a train departing from Milan 2 hours earlier was priced at 9.90 Euros. That was cheaper than Interrail’s booking and reservation fee! (Not to mention that these extra fees needed to be paid on top of what had already been paid for the pass). Please note that the prices for the independently booked train journeys are the prices for the cheapest tickets of the day. Some train departure times were a little less than ideal (6 am, 11 pm, etc.) However, you should also keep in mind that these were the train ticket prices showing up only 3 weeks before I set out on my adventure – which took place during high-tourist season. The prices would have been even lower if I had looked them up sooner. As you can see, if you’re travelling a budget, an Interrail pass may not be the most money-saving way of getting around. If you’re planning a few short distance trips or have a fixed itinerary, purchasing your tickets through each country’s train company may be the most budget-friendly option. If you’re booking your reservations through Interrail/Eurial’s online booking system, on top of the reservation fee, you pay a “booking fee” so that Interrail will make the reservations on your behalf. If possible, reserve your spot through the train company you’ll be travelling with. It will most likely be cheaper, since you may only end up paying the reservation fee. If you’re booking a night train, the reservation fee depends on the type of “seat” you want. Cabins with beds or “couchettes” cost a lot more than a regular seat. However, you won’t know how high the reservation price is until you’re offered the spot. When I took a bus form Menaggio, Italy to Lugano, Switzerland, I didn’t know what to expect of the town. Hands down, it was a beautiful city and I’m happy that I had the opportunity to simply hop on a train leaving 2 hours later than the one I had initially planned on taking (without any paperwork or additional costs). I am thankful that I could chose to sleep in a little longer on a few travel days and didn’t have to be at the station before sunrise (I am NOT a morning person) simply because an earlier ticket was significantly cheaper. I am also thankful that I had the chance to spontenously decide to get off the train at Innsbruck (I had cut that out of my original plan) and devote a few hours to exploring the city on my way from Zurich to Salzburg. I was just as lucky that I could hop on the first train heading to Salzburg when the skies unleashed a torrential downpour. Another benefit of having an Interrail pass is that you may be able to receive discounts on various tourist services and attractions. The “Pass Benefits” section in the Rail Planner app can provide you with a list discounts for each country. Just as an example, during my trip, I got 50% off on a gondola ride at Mt. Pilatus, Switzerland. On another note, if you’re someone who likes to make spontaneous travel decisions and visit places on a whim – without a plan, Interrail/Eurail may be the best money-saving option for you. 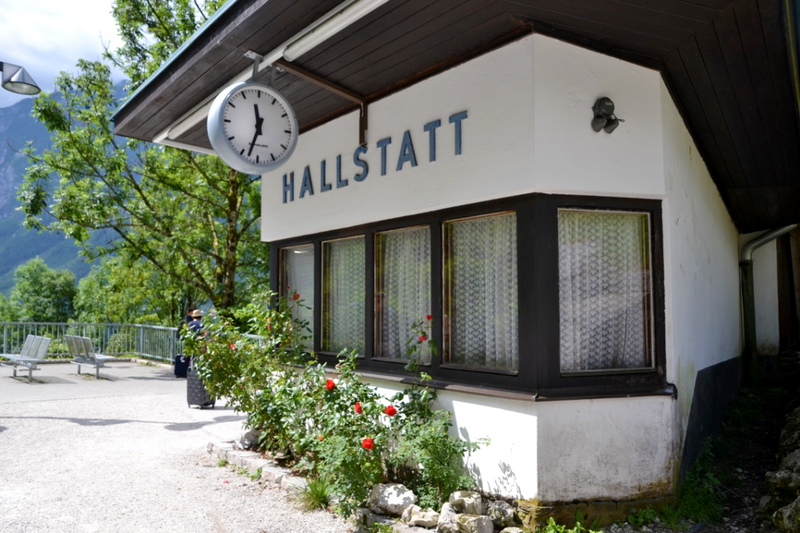 A day trip to Hallstatt was another one of my last-minute decisions. I know I have spent A LOT of paragraphs discussing the disadvantages of Interrail/Eurail passes. In part, some of these “disadvantages” were the result of my own misconceptions and oversights. Yet, I promise you that as of Travel Day 1, all of my frustrations and negativity towards Interrail melted away. Despite being a bit of a control freak, I really liked having room for a little flexibility and spontaneity. And finally, there is simply nothing comparable to the experience of speeding around the Swiss Alps and next to mountain lakes. I spent countless hours taking in and admiring the hundreds of impressive landscapes passing by. And you simply can’t put a price on that. If you have any questions about Interrail/Eurail that I haven’t addressed, please do not hesitate to ask them below. A post discussing things to consider when planning where to stop on your Interrail/Eurail journey is already in the works. And yes, I rewrote Hamlet’s famous speech at the start of this post. I’m a bit of an English nerd. Thank you so much for your comment! I hope that you get the chance to do so one day! Thank you so much for the comment! While writing, I really tried to think of all the things I wish I had known before I purchased the pass. Nice post! Your inputs absolutely helps my planning on my next Europe trip next year. Keep posting. Thank you so much! I’m really glad I could help. This is a great article! I went inter-railing after university and it was fantastic. I’m an EU citizen so I didn’t realise they are that strict on the pass. I thought it was for any travelers under 28 years old. Looking forward to reading the rest of your inter-rail adventure! Thank you! I didn’t realize that they were so strict until I purchased the pass. Thankfully, it all worked out! I’m looking forward to sharing the rest of the adventure too. Thank you for all of these tips! I’m planning a trip to Europe again in the spring and I think all of the info you mentioned will be very helpful!! Thank you so much for the comment! I hope you do get the chance to one day. I’ll be writing another post about planning an itinerary soon – hopefully that post will help explain how to take advantage of the pass. I have been interrailing twice now, and my two pence is that it is definitely worth it in parts of central europe, but not so much in the balkans or the west. I paid some hefty reservation fees in france (lille to frankfurt charged me 35 euro! ), and in bulgaria and romania I honestly felt like buses would have been safer and quicker. I think its a great option for amature travellers (like I was at the time) as all the info and assistance you get is helpful, but if youre more comfortable with navigating multiple train bookings then it’s best to go solo!